The new EWS-200 systems by eyevis are Windows based highend 3D systems, which were especially designed for the smooth display of 3D processing power and for 3D on display screens with extreme high resolutions, like the EYE-LCD-6400-4K (4096x2160 pixels) or the EYE-LCD-5600-QHD (3840x2160 pixels). Latest Direct X and Open GL make the system ready for sophisticated threedimensional applications. Latest generation processors and graphic cards guarantee optimal 3D performance for intensive computing on CPU and GPU. The EWS-200 series can be upgraded with additional DVI and video inputs. This allows connecting additional computers and video signals to be shown on the display. eyevis from Reutlingen in Germany is specialized in the development and production of highquality large screen systems and guarantees a continuous further development in hightech, quality and complete specific customer display solutions. 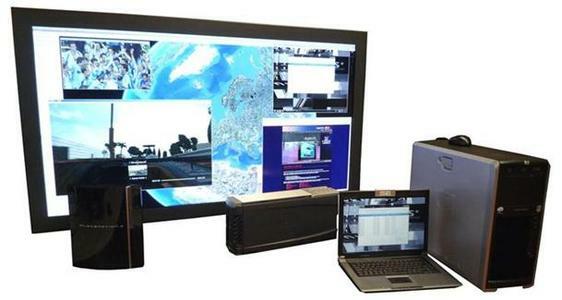 Besides the rear projection units, based on the DLP(TM) Technology from Texas Instruments and controllers to manage multiprojection walls, eyevis is also developing intelligent software solutions to achieve a complete, unique and perfect large screen system. 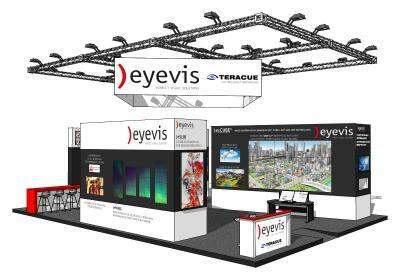 The name eyevis stands for quality, innovation, flexible and redundant systems and solutions in the field of large screen visualisation. For every application, whether control room or communications, conference or congress area, foyer, show room, information system, exhibition, convention, event or training centre, eyevis offers a solution tailored to your individual requirements with the best image quality. The product range also includes highresolution TFT LCD monitors and special solutions for simulation and virtual reality applications. eyevis' ambitious principle has always been the permanent further development of its product range which aspires to include the most modern technologies in perfect quality. The result of this "stateoftheart" philosophy is the permanent development of products which constitute cuttingedge technology in their field of application. This makes eyevis one of very few manufacturers who are able to provide complete systems - highend quality "Made in Germany ".